This upstairs guest retreat was a sight for sore eyes, thanks to Kirkland's penchant for sumptuous fabrics and ornate details. Glossy walls in a deep Farrow & Ball blue, paired with modern paintings, added punch to this otherwise traditional room. 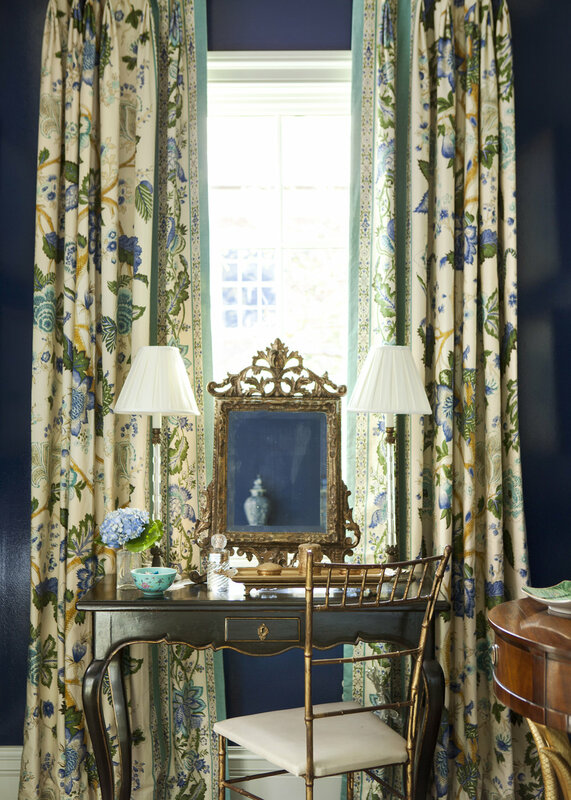 The palette itself was determined by the Brunschwig and Fils fabric, Bellary, which combined blue, green, and turquoise. 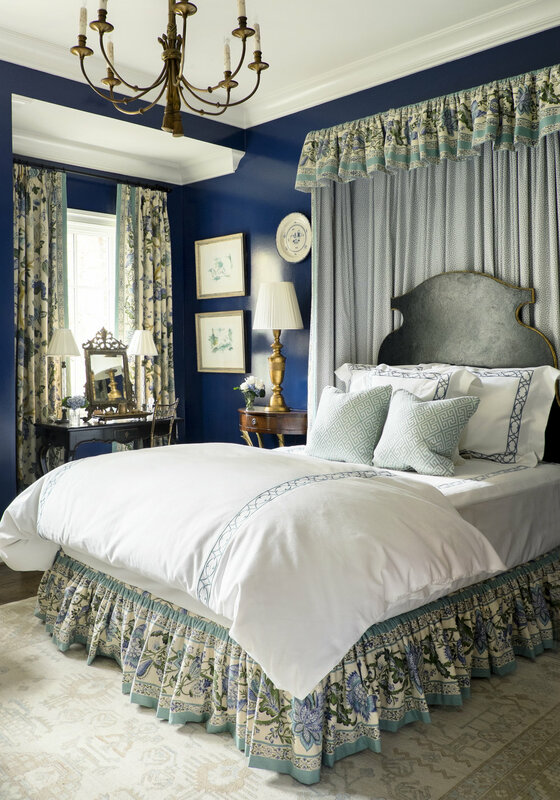 This color scheme was extended to the angel canopy, window valances and bed skirt, and the result was nothing short of jaw-dropping. 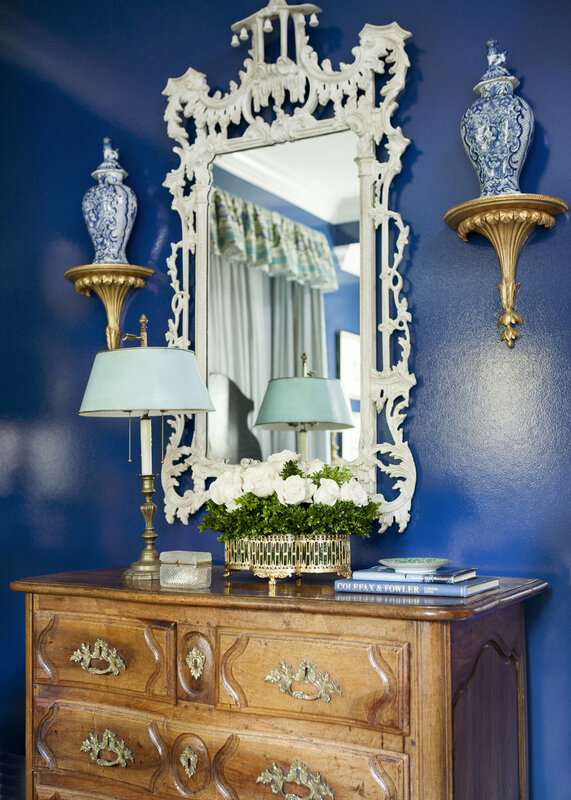 "We wanted to create an inviting and charming retreat that really made people feel like guests of honor when visiting the house," says Kirkland, who believes in "the power of pretty" -- hence little luxuries such as a dressing table set with flowers, perfume, truffles and an array of books.